* The linked articles are in Bulgarian. 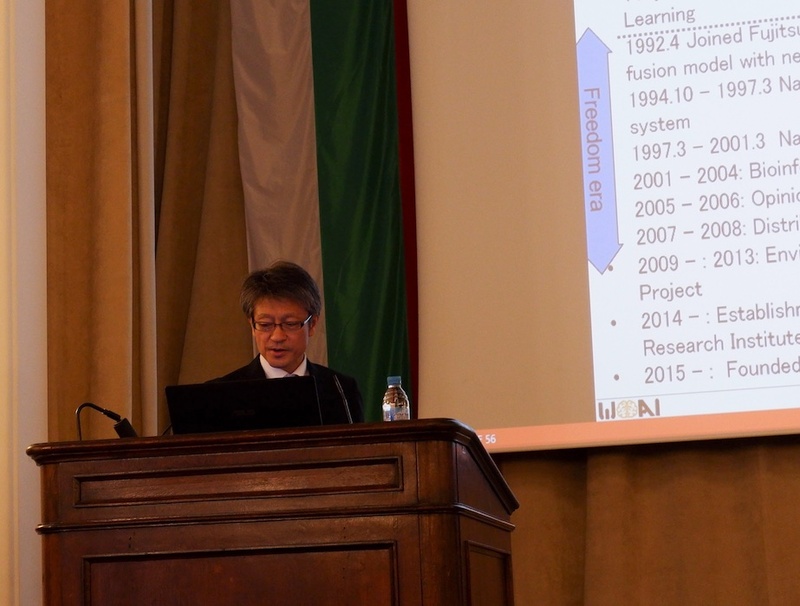 Hiroshi Yamakawa, the Chairperson of WBAI, was invited to a lecture meeting in Sofia, which was organized by the Embassy of Japan and the Bulgarian Academy of Sciences. Yamakawa gave a lecture to the general public on the theme “The Future of AI in Harmony with Humanity” to outline the progress of AI research from past to future and its influence. * Last year, Professor Shinsuke Yamanaka, the Nobel Prize Laureate in Physiology and Medicine (Director, iPS Cell Research Institute, Kyoto University) gave a lecture in this lecture series. Yamakawa made a keynote presentation entitled “Artificial Intelligence: Implications for Policymakers” at an international conference for policymakers hosted by Public Policy Institute and Konrad Adenauer Stiftung and attended by Tomislav Donchev, Deputy Prime Minister of the Republic of Bulgaria, and Mariya Gabriel, EU-Commissioner for Digital Economy and Society among others (Facebook Album). He also made appearances on TV shows (Bloomberg TV Bulgaria, Tech of Tomorrow), responded to media coverage (Economy.bg), and gave an invited talks for Bulgarian companies (c.f.HS talks). Through these activities, WBAI communicates the progress of artificial intelligence technology including brain-inspired AGI and its social impact.